Icarus Phoenix is the newly introduced hero in Dota 6.70 map by Icefrog. It's a strength based hero which is added in sentinel. Icarus Pheonix is added in strength pool which is an strange act by Icefrog but anyway it's a great hero with good spells and eye candy graphics. You can read Icarus Phoenix hero details, Item builds and skill builds here. Ancient scriptures spoke of seven sacred emanations of light, and of their convergence in great conflict. The collision of these rays upon the mortal realm created a pyre of the highest purity, giving birth to the mythical Phoenix. As a manifestation of divine flames, Icarus can discharge either flames of death and destruction beam of energy that he can emit can incinerate whole armies from across the battlefield. Unafraid to utilize his own life-force in order to vanquish his enemies, Icarus can also harness the direct power of the sun to create stellar explosion. Strength: 22 + 2.9 per level. Phoenix dives forward in an arc with a fixed distance in the targeted direction, dealing damage and disarming any units he comes into contact with, and then orbiting back to his original position. If during the 2 second duration of this spell Phoenix casts another spell, the dive ends. Phoenix gains magic immunity for this brief dive period as well. Costs 10% of current HP to cast. Born out of his own life force, Icarus creates 4 fire spirits to fly alongside him. Each spirit slowly grows in power and can be used to damage his enemies or heal his allies. Costs 10% of your current HP to cast. Note: The target subability fires off each spirit one at a time. It has no cooldown. If you let them expire without ordering them, they sacrifice themselves where they are. Drawing from his own inner fire, Icarus expels a huge beam of light at the cost of his own life energy. The beam slows and damages enemies for a percentage of their life. Costs 25% of current HP to activate. Upon casting, you lose the ability to attack or move directly. Ray extends out to the first hero it finds and burns it and a very small area around it. You have another sub ability that you can toggle to allow you to drift towards the direction of the ray. Note: You control the direction of the ray using right click and the beam will move towards that angle. The Phoenix willingly ends his current life for the chance to be reborn. Transforms into a burning sun that scorches enemies within 1000 range. The sun can be attacked by enemy heroes; if it is destroyed, the Phoenix dies as well. However, if the sun survives for 6 seconds all enemies in range will be stunned and the Phoenix will return to life fully regenerated. This guide is in beta, the skill build for Icarus, Phoenix will be available shortly. As we mentioned above the detailed version of this guide is coming very shortly. So till then wait for the quality guide. In the meantime, check the DotA Tuskarr Guide. weee :D 2nd blood :D haha daya nito pag tumaba! Phoenix first skill visual effect is great. Anyway enjoy Christmas all dota fans. how will we use that kind of hero? It will be kinda hard controlling icarus, and he will need hp build right from the start. wao...It is very IMBA gan.. The itEm posteD is wrOng. .u shOuld incLudE loThars eDge in reLatiOn to his uLtimAte. .9 hits is very shOrt so u shOuld be hiDing so ur dAmage fReE. .
very good hero, its a little powerful, but requires some support and its godly!!! hahaha! lol! does vlad really that effective? it's long range dude! His abilities cost % of HP so giving him lots of HP does mitigate some damage. Example at 1000hp, first kill cost 100 life, at 2000hp first skill costs 200 life. Making lots of bracers, I think Black King Bar will prevent self damage from abilities (if they are magical). He doesn't need mana, so bloodstone is useless. Pure strength build is the best. whats the build for icarus? @3:57 weak? wtf ur like a noob try using Sun Ray, It's much better for solo ganking because of his 3rd skill also and a regeneration , wtf there' a hotkey or you're clicking it to cast. ,it is easy to control it ur a noob if u cannot, there is a vanguard or HoT. how strong? sorry for my bad english. tuskar is great !_! warlunch ! I like tuskar better than this but I am still trying to use it! YUng 2nd skill ba nagheheal din sayo? First build threads and then go already for the divine then build heart and then bkb after that cuirass and finally lifesteal. Icarus is so balanced...dont need to be rebalance,cause if you just think this hero is weak...dont you think your brain is the weakest thing in the earth?? ?you just dont know how to use the hero...dont play dota you know? Skill USe : Sun Ray then Attributes After Perfecting that Get The Phoenix Dive .. very nice COmbo If U Ask Me . In JUst Lvl 7 Tuskarr is TOAST!!!!! ..
note:YOU CAN DIVE IN THE TARGETED PLACE AND STOP FROM COMING BACK. like the waveform of morphling... when u use waveform u will stop on targeted place. YOU CAN ALSO USE DO IT ON ICARUS DIVE. when u use dive u can use arcane boots while diving , u will stop on the place u have activate ur arcane boots. hahaha hope u understand =) im from mexico. no need for u to buy hp items in first. wala tong talo pre sigurado yan. nice hero however icarus armor is too low. anyway this hero can't be controlled by noobs that want easy kill and easy win. I think tuskar is much easir to play with, althought you can give some nice kills with dive and supernova. get to your enemies in the snowball with tuskar then ult + his frozen sigil, the enemies will hardly ever break it, specially when it's in a high level, you're most likely to get at least one kill with this. and as for his 2nd skill i don't think it's a good thing to get it in early / mid game, if you can control sun ray it is just too good to be missed. not really imba but if it come to gank this hero is good with treant or furion. some stunner will be nice as well. a divine is good choice, but just be carreful. and sometimes i prefer go for a skadi..
icarus is so ot like his sun ray. i prefer to build items which adds hp to him. i also suggest for anybody uses icarus to harass in early games without using skills. skills can be used for creepings. if your lanes is in the middle, courier and bottle is useful. but if ur a sidelaner, gauntlets are more useful or either more damage because u can use ur 2nd skill for healing purpose. speed, health , mana and armor important.. This hero is a little bit stupid to play with.. It's skill is still not enough, long CD waiting you can't even use this in 1v1, it's mainly for support only.. How can you even kill with this hero? I mean if you don't have the proper item build ICARUS is USELESS.. Build a Dagon and make it up to lvl5, for sure you're a stupid noob.. Trying to kill..
what about skadi, S and Y, Radiance, Cuirass, HoT, and Buriza?? is that good?? meepo can kill this bird just for a few hit. because you are all weak! this is working perfectly for me. skill build is 3rd 1st. then ulti. spam with 3rd skill and finish with 1st skill(if you still have mana. 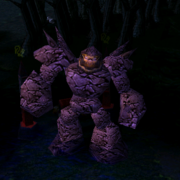 this is the use of bloodstone and arcane boots) IMBA! but my build is beter..
sa totoo lang paps, kaya nya nevermore to sa mid! alamin nyo lang kung paano gamitin. pti kahit isang dive okay lang pang habol lang yan. palakasin mo lang 3rd at 2nd skill mo para heal. 3rd skill: slow + damage. pakunatin mo lang para masakit 3rd skill mo! malakas 'tong hero na 'to! tapos, ulti, sa clah lang, para 'di focus sayo ung atack. promise malakas 'to! Patay ka sa 1v1, kahit anu hero, early game, down kay phoenix, kahit tuskar. . Ung firespirits, may damage un mga dre, 400 un, aoe, coupled with dive, 240 damage, itigil mo ung dive sa mukha nung hero. Bale 640 na nabawas, eh ang mga agi, mga one-k lang hp sa level 11, so red kagad un, eh may dagon ka pa. Gg na. Di ka pa naguulti nun. Malakas ang Phoenix sa 1v1, kahit sf lamug dto. Pero down phoenix sa mga hero na nag sisilence. Note: ten seconds ung fire spirits,you should wait til the birds are mature, para pag dive-in mo, sasabog na ung mga ibon. Tapos, pag di pa sumabog, phaseboots, chase tapos hampas. .
sa skill, wag nyo dagdagan ung sunray pag 1v1, worthless un, instead, add on bonus point. Fire spirits lang dagdagan nyo tsaka dive. Phoenix might be the ultimate hero after all! Hahaha!!!! All of YOU, Are WEAK!! Aw. Lotars is useless, use ethereal so heroes will not hit you in 3 sec. My build for Icarus is BoT, satanic, butterfly, ethereal, linken, mjolnir. I use Icarus as a hitter and support. Add me on facebook for more strategies on other heroes.